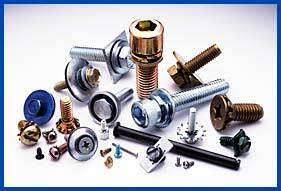 APEX Fasteners provides a complete range of threaded products including thread-cutting screws, SEMS screws, thumbscrews, tamper resistant and security fasteners and more. 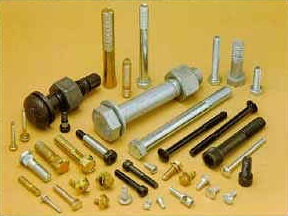 Low order minimums and deep discounts for bulk orders make APEX Fasteners the supplier of choice for everything from commonplace screws to custom manufactured fastener assemblies. 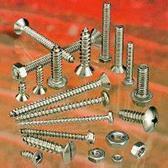 Threaded Rods, also known as All Thread Rods and Studs are available in a wide range of sizes, materials and finishes. Threaded rod in bar stock form is often called all-thread. Threaded rod can be found fully threaded, equally threaded on both ends, unequally threaded or threaded only on one end. The ends of threaded rods are normally flat, though they can be sharp, chamfered, oval or otherwise shaped to meet the needs of your applicaiton. Studs that are not completely threaded fall into two categories. Full-bodied studs have a shank equal to the major diameter of the thread. Undercut studs have a shank equal to the pitch diameter of the screw thread and are designed to better distribute axial stresses. 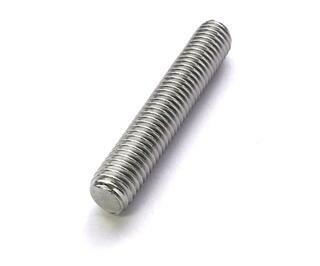 Threaded rod is available in a range of materials including various classes of steel and stainless steel. IFI-136.